It illustrates the importance of using lotion or tonic in the facial cleansing system. Today I would like to shed light and clarity on a product that is part of the proper facial cleansing system that many do not know and of which many are unaware of the use and the real importance or the tonic or some companies Lotion. The tonic lotion although little known and often little or no use is instead one of the "basic steps" for proper cleaning of the skin. It should be passed on the face after using the cleanser or facial cleanser and eliminates the final with a last gesture residues and skin impurities, sebum, the dead cells or traces of makeup. Use the tonic it means therefore conclude and perfect the make-up remover or cleaning action as definitely free the skin of impurities causing breathing. It should also be noted that if cleanses and struccando facial skin pores open up allowing you to remove makeup, dirt and debris, with the tonic we go to disinfect them and close them bunched up the skin and prepares it to receive the best possible beauty treatment we will use later, whether it's a simple moisturizer or an anti-aging (and then the first signs prevention), or even an anti-stain treatment or wrinkle lifting effect. 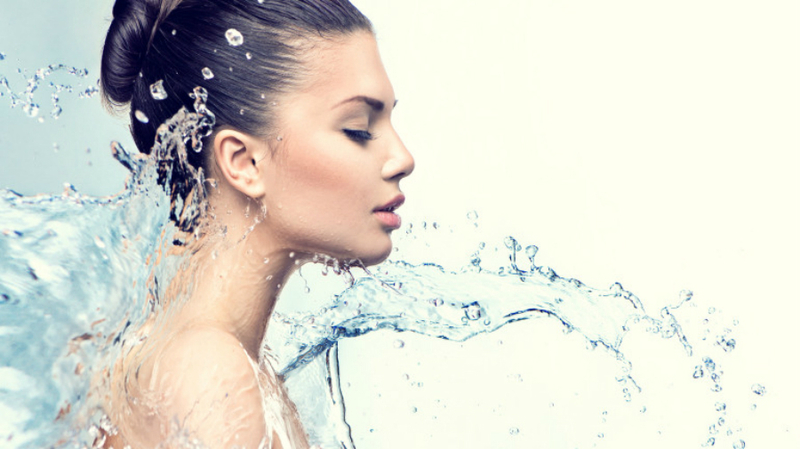 Usually the tonic occurs in a very liquid consistency and free of substances that alter the skin ph. However, there are lotions a bit 'more milky and moisturizers that are usually recommended for dry skin and very dry or covered in anti-wrinkle treatments cleaning system. The best way to use the tonic is to pour a few drops on a cotton pad and wipe with circular movements that are interior to the outside over the entire face but without forgetting the chin and neck area. Personally I recommend using lotion or tonic not only in the evening when the demaquillage but also in the morning to awaken the skin. It is because they awaken our skin in the morning simply by using tap water is not enough, indeed some times according to the zones in which we live, It could even harm the skin to excess because it contained limestone or without filters. The rest are damaged even our washing machines from scale because it should not be damaged our skin? Bene, the tonic action serves to rebalance our skin filters and then using it in the morning and also against smog (do not forget that the smog is part of the skin causes premature aging), It means "to give something extra" to our skin. It is "the best ally of the cream" or our beauty treatment as it prepares the skin and makes it more receptive to the absorption of the active ingredients of the cream. From today, so if you have neglected until now the use of tonic lotion or hope that with this brief interlude started to use it in order to make our Beauty Routine absolutely perfect. Nice poѕt. I usеd to be checking continuously thiѕ bⅼog and I am inspired! a lot. Ӏ was looкing for this certain information for a very long time.